You can probably name a handful of books that have had a profound impact on you. I recently finished one such book for me, “The Design of Everyday Things,” by Donald Norman. This is a seminal book about usability in design, and despite being more than 20 years old is still incredibly relevant and a thorough education in how to assess (and improve) the usability of anything humans interact with. The book’s perspective is that humans are intelligent and highly adaptable so if we have difficulty using something, the fault most likely falls on the design of that object. I started reading it last summer before beginning grad school in information management. Since I was planning on transitioning into user experience and usability after many years as a practicing designer, it had been on my reading list for some time, but had fallen more in the “should read” than “can’t wait to read” category. I was surprised at how fascinating I found it; in particular, I found his analysis of the kinds of errors humans make, their cause and the design principles which could reduce them absolutely fascinating (he was originally a cognitive scientist specializing in human error). Not to mention that the accuracy of many of his predictions are spot on (“Some [useful] aids are yet to come: the pocket computer with a powerful display, which will keep our notes, remind us of our appointments, and smooth our passage through the schedules and interactions of life”). Like any great book I was sorry to find myself at the last page, but since it’s such a dense book it invites careful re-reading. I’m happy to report that I’m already enjoying the preface again, and when I’m done with the second read I can always move onto his other books. Are Lego’s New Toys for Girls Sexist? 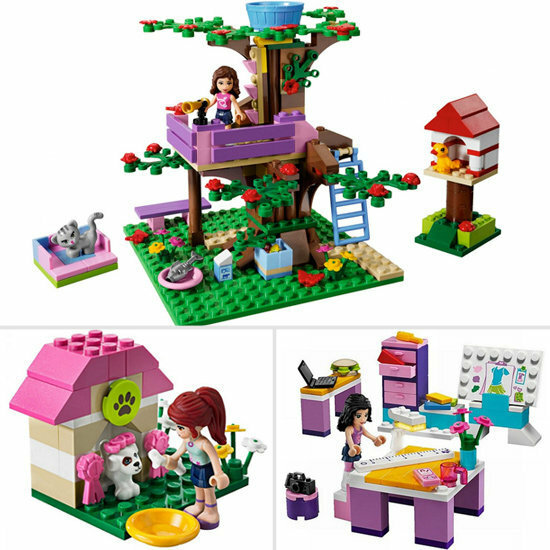 Legos just introduced a new line of dolls geared towards girls called Lego Friends. I found out about it from a twitter post which denounced it as sexist, but was curious if that was really the case so read the Bloomberg Businessweek article it linked to. I think the trouble is there’s lots of pink and purple in this new line (not to mention a Beauty Salon) and we’re used to those things being the exclusive signifier that a product is for girls, but in this case they didn’t stop there. As with regular Legos, building it is an important part of the play, but there is an incredible amount of detail in the other elements which invite complex stories to be created once it’s put together. For instance they found that girls prefer to play with figures that can function as avatars, so they often don’t like the existing boxy Lego figures. As a solution these new figures look much more girl-like, yet since they’re just a tad larger than the existing figures they’ll integrate with other Lego products. While I cringe at the thought of future generations of girls pleading for their very own Lego Beauty Salon (there is also a tree house, design studio and veterinary clinic), I admit my own childhood doll-playing narratives often revolved around hair styles, outfit changes and dating (thanks to the unauthorized use of my brother’s GI Joe). In hindsight we were relishing the ability to create and control our own worlds. Similarly, Lego has created an opportunity for girls to be in complete control of environments they’re interested in, weaving rich narratives and developing relationships while doing so. And I don’t think there’s anything sexist about that.